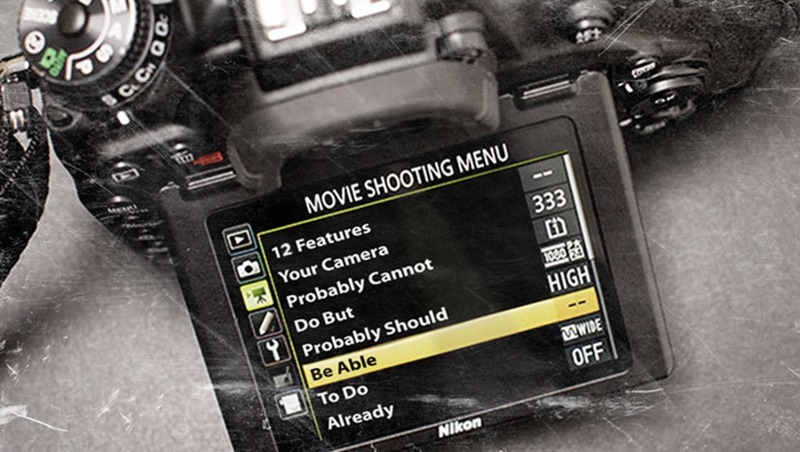 Why Do Our DSLRs Not Have These 12 Features Yet? Recently while filming video for our next educational tutorial with landscape photographer Elia Locardi I found myself asking, "Why in the world do our $4000 cameras still not do this?" Today I have laid out 12 simple features I believe would make all of our lives a lot easier, and most of them could probably be implemented right now! Give me your opinion in the full post poll. Before I start, some might say I'm a Nikon fanboy. The first camera system I adopted was Nikon (Nikon D200 to be exact), and while Fstoppers has given me the freedom to test and use a bunch of different cameras, I have to be honest and say I've never owned another full DSLR system not branded black and yellow. 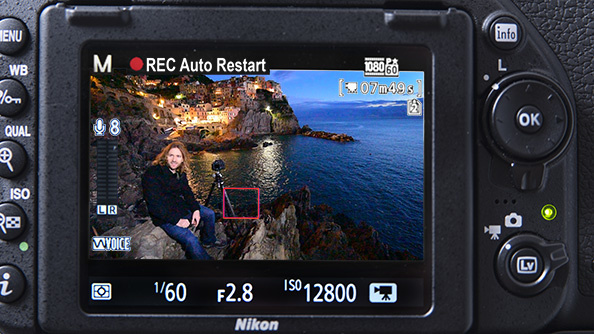 However, anyone who knows me knows I'm the first person to admit that Nikon and many other camera companies have simply dropped the ball when it comes to implementing useful features that real professionals want. Luckily Fuji and Sony are ruffling some feathers so hopefully the big boys will take notice and start picking up the slack. At times these big camera manufacturers feel a bit like Apple who ignored all those cool jailbreak features only to finally put them into their own iOS platform years later calling it a revolutionary new feature. Just like a lot of those hidden Jailbreak apps, most of these features I'm about to list may not only save you a lot of headache, but they might actually allow you to create some pretty cool imagery and/or video with nothing more than a firmware upgrade. I'm pretty sure most of the ideas in my list below have not been fully adopted by any manufacturer, but since I'm mainly up to speed on the Nikon systems I apologize now if some cool company is already offering some of these features. I know everyone has their our own personal "dream features" that might not have made my list so feel free to share your own ideas in the comments below. So without further ado, let's dig into the list! One thing I learned watching Elia Locardi work throughout Iceland, Cinque Terre, and Rome is that he loves shooting long exposures. On many occasions, Elia would want exposures ranging from two seconds to two minutes. In order to take photos longer than 30 seconds you will need to set your camera to the Bulb setting and use a remote to dial in the extended shutter release. Using this method is great for reducing camera shake when working on a tripod, capturing long 1–30 minute night time exposures, and even firing your camera without looking through the viewfinder. 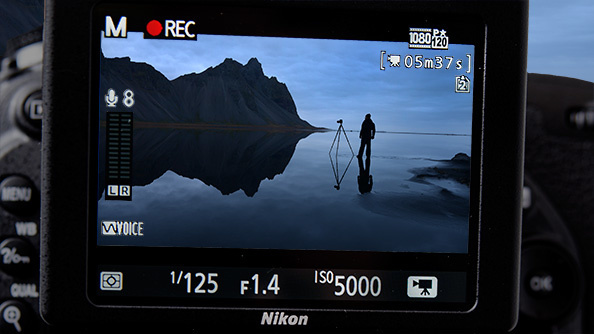 Locardi's remote of choice is the Nikon MC-36a, but watching him use it made me think, "Why do we even need this thing?" Can our cameras not offer dialed-in exposure times longer than 30 seconds? Is this simply a ploy by camera manufacturers to make us buy an extra little trigger for $150? If we could set the bulb with a custom time duration, we could then use the self-timer to trigger the camera without camera shake and pretty much do away with this product altogether. This feature seems like it could instantly be offered through a firmware update, and if you are anything like me, you probably won't have that specific shutter release remote in your bag that one time you find yourself in need of an extremely long exposure. Can we please get shutter lengths longer than 30 seconds built directly into our cameras? Most all current DSLR cameras on the market are now limited to video record times of 20 minutes. I've heard this has to do with memory cards and drive partitions not being able to handle files longer than 20 minutes (or 4GB in size) as well as crazy speculation that cameras that can recorder longer than 20 minutes are considered camcorders which are taxed higher in some parts of the world. Whatever the reason for this limitation, it sure would be nice if our DSLRs could make the most out of the situation by seamlessly recording long segments back to back. How many times have filmmakers messed up interviews or timelapses because their camera hit the 20 min mark and stopped filming? To combat this limitation on record time I came up with an idea: imagine if there was a menu item that when activated allowed your DSLR to auto-record another file immediately after the previous file hit the 20 minute mark. I know from personal experience this feature would have saved me multiple times especially when I was manning two cameras by myself. Again this little feature would be easy to implement through a firmware update, and it would be very handy when filming extended interviews. The auto-record restart idea above actually came from another feature I thought would be handy. What if when you were recording in video mode, a simple audible beep would happen when your video clip reached the 10 or 5 second remaining mark? Sure, this beep could potentially ruin the last few seconds of a clip, but I think the advantage of knowing your camera is about to stop recording would be a welcome feature for videographers. Again this feature could be set in the menu so you could turn it on and off depending on your recording situation. Imagine how useful this would be when you are running video timelapses or conducting long interviews where your clips constantly hit the 20 minute mark. This is such a simple feature but I believe it would help many videographers from accidentally letting their video files expire unknowingly. Perhaps this featured wouldn't be needed if we could simply record video clips longer than 20 mins or had the option of initiating a record restart automatically. Guests can take silent photos at weddings, shouldn't professionals too? During our road trip to Photokina, Lee Morris and I were given four mirrorless cameras and instructed to test them out without any prior experience. We took this challenge to heart and actually left the manuals back home. Trying to figure each of these cameras out with just our own photography intuition proved to be both hilarious and eye opening. One of the cameras, the Sony a7S, really impressed me with its completely silent capture feature. Since it doesn't have a shutter or mirror, every fake digital beep and noise it makes can be turned off for completely silent operation . This is nothing new, right? Well it made me think, why can't my Nikon D810 or D750 do this? 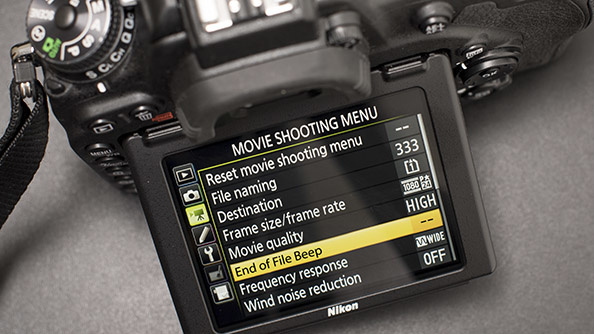 I remember first hearing about the new Nikon D810 having an "electronic front-curtain shutter" and I got really excited. If you are a wedding photographer, you are all too familiar with churches and officiants telling you that you cannot shoot during the ceremony because the camera makes too much noise (and usually the videographer is off to the side grinning as he films away unimpaired). Well the electronic front-curtain shutter was not what I expected it to be (it's more for camera shake and long exposures), but the idea made me wonder once again, "Why can our DSLRs not pull full res frames straight out of live view just like cheaper mirrorless and point-and-shoot cameras?" In this mode you would simply have both your mirror and shutter up (this is how Live View works) and with the push of the shutter your camera would pull a full frame still directly off of the sensor. You could essentially shoot in dead silence (minus initially turning on live view). 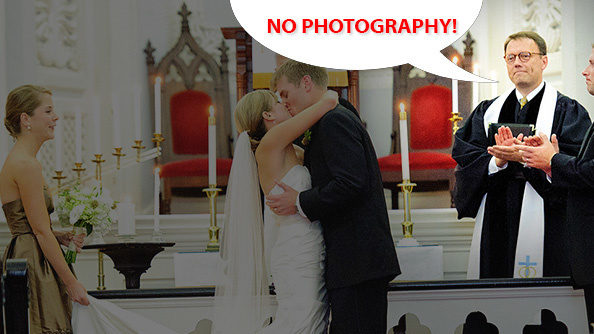 Wedding photographers could now find themselves shooting silently in churches around the world! My iPhone can do it, guest's cheap point and shoots can do it, our DSLRs should do it! Now this feature probably has a lot of technical limitations behind it but I'm still going to ask the question, "Why can so many cameras and medium format cameras sync beyond 1/250th but our DSLRs are stuck dead in their tracks?" Sure, I know, medium format cameras avoid the flash sync limitations by using leaf shutters instead of traditional focal plane shutters, but in my opinion having a near unlimited Flash Sync speed is the holy grail of digital photography. The only thing really left to conquer in flash photography is defeating the current Flash Sync limitation (well besides my next point below). There have been numerous hacks on how to get your camera to effectively bypass the 1/250th limit but most of them aren't exactly reaping the benefits of a true shutterless sync.HSS and Hypersync are not true viable answers to this problem plaguing the DSLR camera. I've synced many point-and-shoot cameras with flash at ridiculous electronic shutter speeds and I think it is time that our DSLRs use a similar digital shutter to allow our expensive "pro" cameras the same flash-overpowering-ambient-light results. As photographers flock to medium format cameras primarily for this feature, Nikon and Canon could help secure their future by solving this problem once and for all. Okay, okay, I just said that the last hurdle to overcome with flash photography is an unlimited Flash Sync but there is one last piece of the puzzle left and that is improving wireless flash. For over a decade at least, fans of off-camera flash have been stuck using triggers that use infrared (think Nikon's CLS) or low bandwidth radio triggers (think Pocket Wizard and their FCC 344 MHz frequency). Recently Canon stepped up to the plate and released their new 600EX flash system that uses the 2.4GHz bandwidth, and other wireless controllers like Profoto's Air Remote and Phottix's Odin system have made wireless flash more reliable than ever (remember the insane distance covered in this video). From my experience with the Profoto B1s and D1s, I have to say the 2.4GHz frequency gives me a near 100 percent reliability rate compared to my near 50 percent rate with the once flagship Pocket Wizard Plus III models. Despite what everyone's favorite "strobist photographer" Joe McNally says, Nikon's Creative Lighting System is not reliable at all compared to this newer wireless technology. All the major camera manufacturers should take a page out of Canon's book and start incorporating 2.4GHz wireless transmitters and receivers into both their camera bodies and speedlights across their mid and pro product lines. 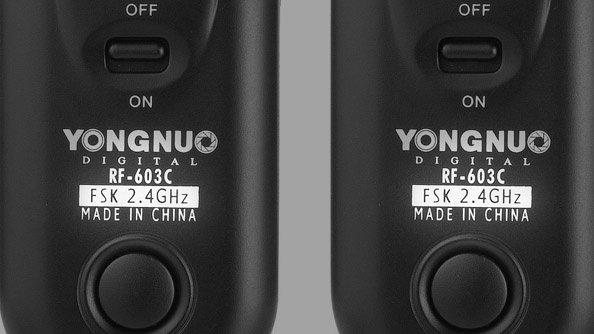 It's a bit ridiculous that a cheap $70 China rip-off brand can have this technology, but our expensive name-brand cameras still do not offer any reliable way to wirelessly sync remote flashes. Most of the features I've desired so far could all be implemented with firmware updates. There is one major hardware change I would love to see happen immediately and that is the replacement of the PC Sync connector. One of the first videos and posts we ever did on Fstoppers was called "The PC Sync Cord Needs to Die." PC Sync connectors are used to trigger studio flashes and strobes or other wireless remotes like Pocket Wizards. If you have ever used this flimsy connector then you know it is perhaps the worst designed connector in the history of electronic connectors. I think it is time for Nikon, Canon, Sony, and Fuji to all adopt a new standard, and in my opinion that standard should be the common 1/8" TS Headphone Jack. 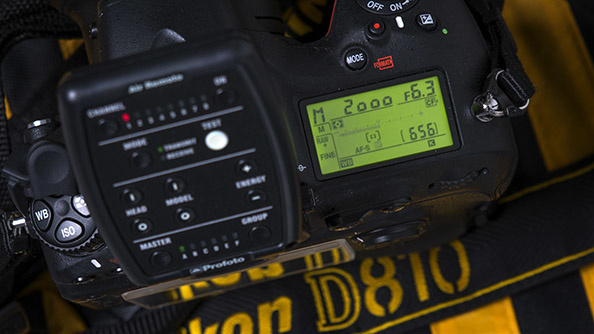 Most photographers these days are using radio to trigger their flashes, but there are instances where connecting a speedlight, Pocket Wizard, or studio light directly to your camera with a sync cord can be useful. It is beyond time to change to a connector that doesn't fail 20 percent of the time! I mean it seems like we have to adopt to new HDMI and USB connectors on every single new camera. Why is this archaic PC Sync port even still being put on modern DSLRs? Before traveling with a Wi-Fi capable camera, I used to think Wi-Fi was one of those features I didn't necessarily need in my DSLR. My mind however was changed this last summer when I traveled to Photokina with the Sony a7S and Fuji XT-1, both of which allow you to tether your camera to your cell phone for wireless transfer. Most of my travel and day-to-day photos are posted to my Facebook page or the Fstoppers Instagram page. Having the ability to take high quality photographs and then instantly upload them online while on the move was surprisingly exciting. During our travels through Iceland with Elia Locardi, I had to laugh when I realized how many photographs I was taking on my iPhone instead of with one of our many D810s. The reality was it was simply way easier to upload the iPhone photos than it was having to download, edit, and upload RAW files from my "advanced" DSLR. As a wedding photographer, I can see how instantly being able to upload a high-quality image from a wedding would be a very useful marketing tool. How many times have you seen photographer friends on your Facebook feed simply taking photos of the backs of their DSLRs? 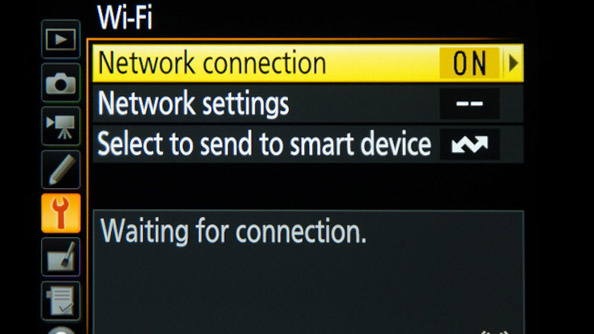 There are a few cameras like the Nikon D750 and Canon 70D that offer Wi-Fi but I think this is a feature that should probably be included in all future camera models. If our cell phones can record at 120 FPS, our DSLRs should too! I know by this point you are probably saying, "geez, Patrick is asking for so many video features." Well, in my opinion, the current DSLR camera has pretty much maxed out everything on the still image side of things. If you can't craft the vision in your head with 36 megapixels, ISO half a million, the fastest AF in the history of the camera, and more dynamic range than ever before, then I guess you can keep waiting for the next perfect camera. In the meantime I've found that clients are asking for more and more video, and those who have embraced DSLR video are setting themselves up to be leagues ahead of the competition. The largest photography project I've done to date, "The Stun Gun Photoshoot," was a success mainly because of the combined slow motion video paired with traditional still photographs. Video really is going to be the next big thing for these cameras and don't be surprised when your current 2.8 Version II lens is updated yet again with upgrades that focus more on the videographer. I'll leave that argument for another time, but what drives me crazy in the current market place is that my iPhone and my GoPro 4 can still out perform my expensive DSLRs (both of which can be had for $500 and both weigh a fraction of my DSLR). What good is Expeed IV processing if we cannot pull off 120 fps at 1080? As the tiny GoPro 4 cameras are breaking into 2.7K and 4K video, our "professional" cameras are still stuck at 1080 with 60fps at best. Last night I did an iPhone Slow Motion Test at a New Years Eve Party I attended to see how well the iPhone 6 did with 120fps video and the massively impressive 240fps video (both at 720p). The results are pretty amazing for just a small phone with a f2.2 fixed aperture. Even if you do not use the video feature at all, it should still make you mad that your latest and greatest professional DSLR camera holds a premium price while still being inferior to many lower priced consumer products. If you shoot video on the run, you probably use a standard lens like the 24-70 mm (the Tamron is currently our favorite for video). The reason you would pick this lens is because it gives you both a moderate wide-angle shot as well as a short telephoto shot. But what happens when you need even more reach but you do not want to carry another lens like the 70-200mm with you? Enter the video crop mode! 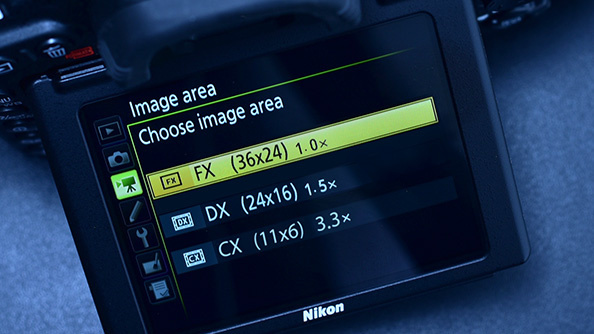 Many cameras allow you to digitally crop within the DSLR's menu so you can get more reach out of your lens. 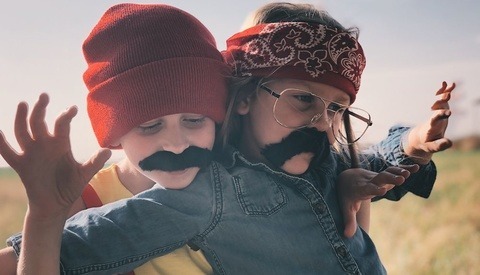 This digital cropping doesn't always make sense with stills because you can crop later in post, but for video work these crop modes can be a godsend. Getting an extra 1.5 or 2x crop out of your sensor is really handy, but what if you could zoom all the way into your 36 megapixel sensor and use the center most 1920x1080 pixels? Depending on your camera you could essentially have a 3–5x crop factor built into any lens you have mounted. Your 24-70mm would now have a reach of 210mm or possibly even 350mm on a high megapixel sensor. Nikon does offer this feature on their D4S camera but really this 1:1 pixel crop should be available for everyone no matter what camera they have. Again it doesn't make sense for stills (no one wants to permanently save a 2 megapixel image), but for video users it would open a lot of doors for those running and gunning with a single lens. 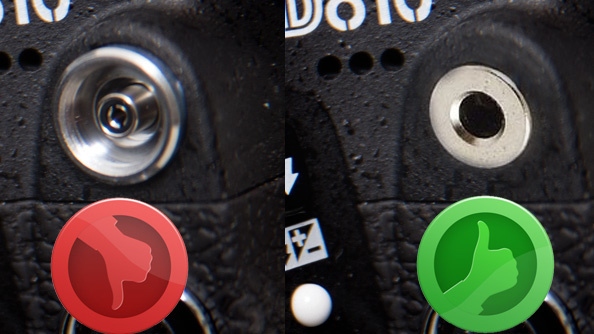 Most professional digital cameras have two rotator knobs. 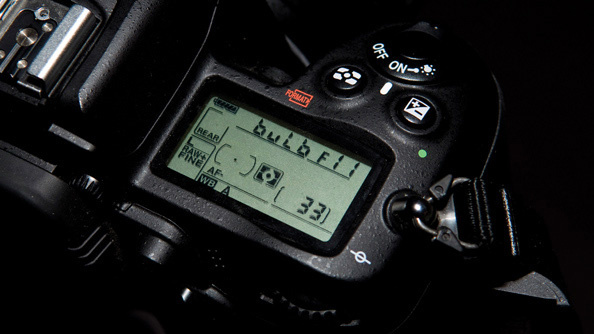 One controls your shutter speed and the other controls your aperture. Very few cameras allow you to also control your ISO with a third rotator dial. The reason for this is historically with film you were locked into your ISO based on the speed of film loaded into your camera. With the introduction of electronic apertures in lenses, we lost the ability to control the aperture at the lens but gained another rotator dial. Today, changing your ISO sensitivity is just as important as changing your aperture and shutter. While some modern DSLR cameras do you let you modify how the rotator knobs work, very few actually give you three completely separate controls for each exposure adjustment. The one camera that does offer seamless control without having to simultaneously hold a button down is the Sony A7 series. I was completely shocked at how easy and fast this camera allowed users to rotate through aperture, shutter, and ISO settings. Today many photographers might actually adjust their ISO settings more than their aperture and having such a well designed dial just for ISO makes a lot of sense. Fuji came very close to making their X-T1 cameras quick but instead their digital rotator knobs only controls the exposure a few 1/3rds stops from the hard rotator dials (which can lock in place at times too). Canon has the perfect 3rd wheel for this but instead chooses to require a second button to be pushed before ISO settings can be changed. Nikon doesn't even have a third rotator switch yet so you are forced to use two hands to change ISO. If you photograph scenes and objects that do not require super quick exposure adjustments this feature might seem like a mute point, but if you photograph events, weddings, or fast paced street photography you can easily see where having an isolated ISO dial could be a huge time saver. 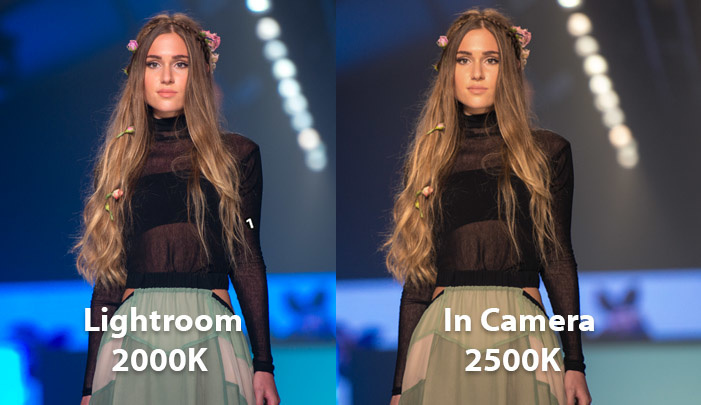 If you've ever shoot events like concerts, fashion shows, or anything with dramatic lighting, you probably know how hard it can be to dial in an acceptable white balance. Our cameras have a custom WB setting that lets us pick from a range of custom Kelvin temperatures, but did you know that editing software like Lightroom and Capture One can expand those settings even more? 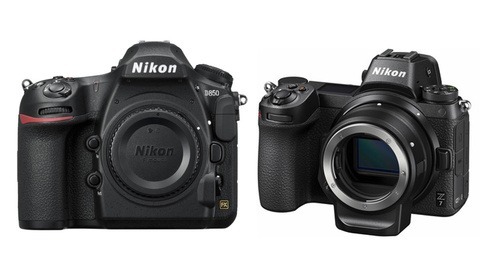 Our DSLR cameras are usually boxed in to 2,500K on the cool side and 10,000K on the warm side. Sometimes, depending on the lighting, that range is not enough to produce correct white balance. If you are surrounded by near neon level lights, you might need to cool everything down below 2,500K, or if you are shooting in the super blue twilight hour you might need to add even more warmth to your scene that what 10,000K can supply. Luckily most editing software expands your camera's native WB range to 2,000K all the way up to 50,000K, and sometimes just a slight change of 500K can make all the difference in the world. This is really handy when you are editing RAW files on your computer but what if you are burning in your WB with Jpeg or shooting Video (we don't have RAW video yet)? It can be a real bummer when you run out of white balance latitude on an important shoot. Isn't it time our cameras have the same expanded white balance settings our editing software gives us? We are all pretty lucky to live in this era of digital photography and video. Never before have our cameras been able to capture beautiful imagery in the worst of conditions possible. Throughout this first leg of our trip with Elia we have really pushed our cameras to the limits. From shooting the aurora borealis in near total darkness, to having waterfall mist freeze on our cameras, to testing the weather sealing in hail, rain, and snow, I am still pretty amazed at how far the modern day DSLR camera has come. Ask any Sports Illustrated photographer and they will tell you the Auto Focus is truly world class at this point. Wedding photographers know just how amazing super high ISO can be in dimly lit ceremony and reception halls. Photographers looking to make the transition to videography have never had a cheaper and easier time than now with the amazing HD quality we can achieve out of our pro level camera lenses. I do not want this article to undermine just how amazing our cameras really are. 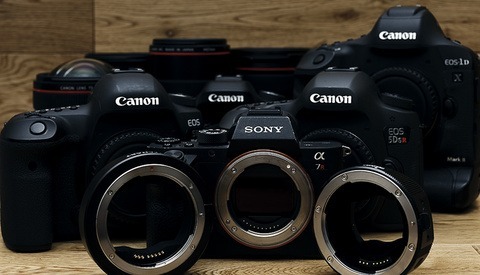 However, recently it seems like some camera manufacturers have lost touch with the needs of both semi and full time professional photographers and videographers. Each time a new camera is released, I think many of us have been brainwashed into thinking we need more megapixels and higher ISO settings when instead we should be wanting features that actually make a difference in both our creativity and our productivity. Sure, I'm excited to see how many stops better ISO 12,800 can be but the reality is I very rarely use these insanely high settings. Having a camera shoot 50 megapixels would be exciting too but how many of us are actually printing these files larger than 36"x48" or even at all? I believe the real features that will make future camera releases truly amazing might be found buried under all the flashy raw camera specs. These features might allow us to keep pushing the boundaries of what is possible while also making it easier to craft this art of ours out in the field. In a way, camera manufacturers have reached a point of diminishing returns with each new camera release. They are filling that gap with advances in video which I completely applaud, but from a photography stand point, each new camera release seems to be a little less exciting than the one before it. One might be able to argue that the most exciting new features have come from the under dogs like Sony and Fuji. Sony broke away from the megapixel hunt to provide a 12mp Full Frame super high ISO killer in the Sony A7s. Fuji is also breaking the molds by releasing major firmware updates throughout the year that gives even their older cameras new life and functionality. Hopefully we can see outside the box trends like this filter down through all the major camera manufacturers, but until then I guess we are just left to dream. What Are You Going to Do When Phones Replace Your DSLR? How about charging cameras via USB? Seems doable but why is that more handy than charging an extra battery on AC? If your camera has to be tethered to a computer to charge then it seems like it wouldn't be able to be used easily. Sony does it on a few models. Of course, you can charge with a dedicated charger. But USB charging is great for travel. You can use the same charger as your phone or share your external battery pack to charge your phone/tablet and camera. Also, I think that it allows you to power the camera while shooting tethered. Not something I'd consider essential for a pro but it can save your bacon and allows for a lighter bag in more casual settings. Simply for want of charging options. I carry a couple of 11,000mah battery banks with me that have seen spot duty charging gopros for extended recording as well as a CamRanger for tethering on an all day photo session. I don't see why I shouldn't be able to do this with my main cameras as well. More cameras should offer this, I agree! The A7Rii does it, and I'm sure the other A7 series do also. It's really nice, because I can use a portable Anker 10Ah battery to power my camera through a full day just by plugging it into the USB. I'd be ecstatic for #5 alone.. While we're asking for things they won't give us, I'd also like my Nikon speedlights to run off of a Nikon camera battery. I don't know how much that would kill the main battery but if it was reasonable it would be worth weight drop of the flash as well as the smaller size. You put a SB-900 on a D4 and a 70-200 to haul around and that is heavy. Losing the weight of 4 AAs would at least counter that a little. I meant using an additional camera battery in lieu of the 4 AAs. I already have a bunch of them and they would yield better recycle times than conventional batteries. I think the issue is the Flashes typically outlast the live of the camera batteries. Nikon used to use the ENEL3e batteries before changing to the new EN-EL15 battery. Some of the other entry level cameras use another EN-EL battery too and the D4 has that monster of a battery. I think it is a nice idea but if you are ever in a bind it is nice knowing you can throw in any AA from the gas station and still be able to shoot. What would be the worst is if you were a Nikon D4 shooter and also had to carry both AA for other electronics an a random EN-EL15 battery for your flash. For the DX guys your point is valid but if you're a pro and you shoot your speedlights at work you cook through enough AA batteries to make a "pro grade" speedlight cost effective, if of course, Nikon could establish a single battery for all of their FX camera systems and flashes. There'd also be the additional revenue from people buying Nikon batteries to power their flashes instead of AAs. Yeah I think the issue is the battery changes every 3-5 years so having one standard wouldn't be an issue. Personally I don't mind using AA batteries since my pocket wizards use them as well as tons of other photography devices. This isn't that exciting to me honestly especially since I can buy 16-24 Enelope batteries for the price of 1 specialized battery. I bought a bunch of Godox flashes that use a proprietatary lith-ion battery. I have 5 manual only flashes (v850) and 2 TTL (v860c). The flashes are REALLY nice, especially for the money and the batteries at full blast (1/1) can go for 500 POPs (GN 58). The flashes also use their own proprietary triggering system that allows me to change flash setting on the fly from the top of the camera and have a really impressive range ... LOVE THESE THINGS! I'm a part timer here ... I do 10-15 weddings a year plus another 15+ other shoots (maternity, boudoir, swimsuit, product ...) and my busy season is starting up now (shooting some product/catalog work on location tonight, have a couple of head shot sessions lining up) so I started charging my batteries ... two of the batteries are dead ... complete refusal to charge ... after about a year of use. Just ordered 4 more (40$ each) ... will take over a month to get them. Thankfully my wedding season only starts in a few months. Also a Godox shooter. Love the concept and build quality but the implementation of the batteries is very bad. They batteries aren't balanced and so they are prone to dying much, much faster than a typical LiON battery. Supposedly with the current batch of batteries this is much better. I've bought a bunch of replacements ... I now own more dead Godox batteries than functional. I have over 56% fail rate on the batteries with the MAJORITY of the replacements being DOA. Thank goodness for amazons return policy. On a side note. I have yet to see any of the NEW batteries. I keep getting the first generation batteries. There's one Amazon listing for the new batteries. I've only bought one but it is much better than the Newer batteries I've been buying which were ALL below spec on voltage and didn't last the advertised amount. I've also had good experiences with the Adorama Flashpoint brand. #2 I believe that most cameras are limited to 29:59 of recording, not 20 minutes. The reason being that any device that can record for 30 minutes or more is classified as a camcorder in the European Union and is assessed a higher tax than a camera. Most of the DSLRs I've used are still at 20 mins but either way, they should allow regional cameras the ability to extend that. Or the EU needs a better way to differentiate between cameras and camcorders if they want to tax them differently. In the US the recording time is limited because of different duty rates on video vs. still cameras. The tax rate is the same - it's just import duty. Do you have a reference for this? Why do countries differentiate between camera and camcorder? And more importantly does it matter! I just bought a $200 camcorder by canon this Christmas. Seems backwards that that camera can record 3 hours yet a dslr can't because of a small duty fee? What are the laws about shipping cameras that can't shoot over 30 minutes and then you can give them a firmware update yourself that allows unlimited recording? I almost included that feature in my list. After using the GH4 for a month I have to say that feature is super useful! An electronic viewfinder would be needed for focus sizzle and big boy DSLRs don't have those. Why does a camera that uses focus peaking need an electronic view finder? It can just display it on the LCD like the Panasonic GH4 does.